Please view Optimal training frequency for the glutes part II for the latest and most in-depth calculator. I’ve been getting a lot of questions about workout schedules, and especially how often to train the Glutes. Well here’s my answer: when they’re recovered. Multiple factors affect recovery time. As you can read in my article on optimal training frequency for the Glutes, one of these factors is the type of exercise you do (stretcher, activator, or pumper). On the other hand, how developed your Glutes are also affects recovery time. A great way to assess Glute development is to look at your strength on the Hip Thrust. After all, a bigger (more developed) muscle is a stronger muscle. Bret Contreras (the Glute Guy) has outlined ranges of Hip Thrust strength to indicate how developed the Glutes are (beginner, intermediate, advanced, elite). Scientific research shows that the more developed your Glutes are, the shorter it takes for them to recover. However, there’s another factor we need to take into account. Science shows that just like training stress, psychological stress has a major impact on how quickly you recover. High-demanding jobs with a lot of demands and responsibility, or poor stress coping abilities will thus increase your recovery time for a given workout. To help you decide on how often to train your Glutes, I’ve created the calculator below. It estimates how long it takes your Glutes to recover (and grow back bigger/stronger) for different types of exercises, based on Glute development and stress levels. Note again that these are just estimates. To assess whether your Glutes are truly recovered, look at your Glute strength compared to the previous workout. This calculator can help you with that. If you’re stronger on an exercise like the Hip Thrust, there’s a good chance your Glutes have grown back bigger (and are thus recovered). Jane has a moderately stressful life, being a manager with a lot of responsibility at a big firm, but able to cope with this well. She hip thrusts 60 lbs for 10 reps. The calculator estimates that her Glutes take 36 – 54 hours to recover. We take the high end to enter as a recovery time, because Jane primarily performs stretcher/activator type exercises during her workouts. After entering 54 hours into the field under the picture, we see that Jane should optimally train her Glutes 3.1 times per week. Want a training program that’s optimized to your glutes’ training status and sleep and stress levels? Have a look here. 1. Damas, F., Phillips, S., Vechin, F. C., & Ugrinowitsch, C. (2015). 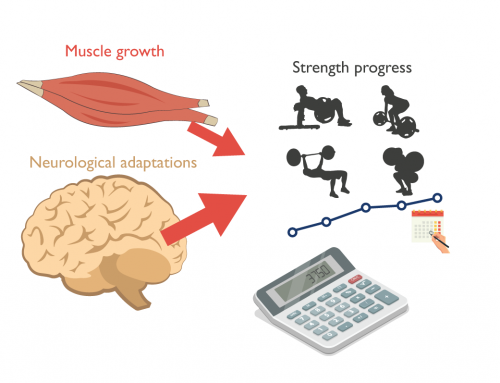 A review of resistance training-induced changes in skeletal muscle protein synthesis and their contribution to hypertrophy. Sports Medicine, 45(6), 801-807. 2. Stults-Kolehmainen, M. A., Bartholomew, J. B., & Sinha, R. (2014). Chronic psychological stress impairs recovery of muscular function and somatic sensations over a 96-hour period. The Journal of Strength & Conditioning Research, 28(7), 2007-2017. Hi, i didnt quite understand the calculator. Could you post exampled on people? Please? If you fill in the 2 questions about your training experience (glute strength) and stress levels, a picture will show below. In this picture you can see your estimated recovery time if you do 3-6 sets of either Stretchers, Activators, or Pumpers (for more info on these, check out my other article: https://www.bodylogiq.org/en/optimal-training-frequency-glutes-part-exercise-type/ ). This is a range, for example when you hip thrust your bw x20, and have a moderately stressful life, your recovery time will probably range from 48 hours (pumpers) to 72 hours (stretchers). This translates (after you fill it in below the picture) to an optimal Glute training frequency between 2.3 and 3.5 times per week. Thanks, th calculatoe says 7 times a week. I was working on my glutes twice a week, and now five times a week, looking for getting that 7 times a week. Thanks for answering! More than welcome, Felipe. Keep me updated on how it goes for you. Be wary that you divide your current training volume over those 5 days, instead of ramping that up too much. I can’t see how you take volume (number of sets and reps) into account. There has to be a difference in recovery time between one set of hip thrusts and 6 sets of hip thrusts (all down for 10 reps with PRE 9), hasn’t it? So, with less volume you should need less recovery time and be able to train more frequently. But I think that aspect is missing in your calculation. Definitely, this will indeed change for amount of volume for one training. The calculator assumes a reasonable 4 – 8 sets of Glute exercises per workout. Less sets need less recovery time. But there isn’t THAT much difference between, say, 3 and 5 sets. Again, the calculator doesn’t give an exact number. It simply gives an estimate to go off and experiment with yourself. You’re more than welcome. Your memory’s not deceiving you. I’m indeed writing such an eGuide. I have a list of people that will be able to get the first copies. If you would like me to add you, please email stijnvanwilligen@gmail.com with your email address. Hello thanks for all this great info, I’m just wondering why calculator gives me 8 times per week :p I’m using pumpers (lower range) and 5.6 with stretchers. I know I’m missing something cause certainly I can’t do stretchers every day of the week hehe could you please explain? Thanks a lot ! Hello Sara, it may actually surprise a lot of women how often they can train their glutes. How is your Hip Thrust strength? Then I can see if 8 times per week is indeed optimal for you if doing stretchers. Very good. Indeed, your body perceives HIIT almost like the same type of stress as a weightlifting workout. Without detailed counseling, I can not help your individual case. To give you something to work with, I advise doing between 15 and 35 sets for the glutes per week. I would advise doing 1 main exercise for the glutes per day. Ideally, you’d train the glutes every day and switch around doing something like: day 1 hip thrust, day 2 romanian deadlift, 3 bulgarian split squat and repeat. You can play around with this to see when you make most progress. If you can only train 4 days, definitely train the glutes every of those workouts. Hi, I would like to know how many exercises I should put in a 4-day gluteal routine, I mean how many stretchers, activators and pumps. This depends on how advanced you are. If you’re very advanced, you’ll need more different exercises to keep the glute growth going (up to 4-5). If you’re a beginner, the hip thrust and bulgarian split squat/romanian deadlift will suffice, along with some accessory abduction/rotation exercises. Basically, I can not give you a good answer without knowing how strong you are in the hip thrust (which tells me how advanced your glutes are). Hello, the truth is that I am not a beginner, as far as hip thrust I can lift 225 lbs. I want to train 4 times the buttocks a week and 2 legs, but as I told you, I do not know how many sets of each exercise and how many exercises (stretchers, activators and pumps). Ah all right, if that’s for multiple repetitions that’s pretty advanced. A setup like this actually looks good! Maybe perform stretchers+activators on saturday instead of monday, as you’ve got an extra day to recover from them then. Aim for 20-30 stretcher/activator sets per week and you’re golden I think. Make sure you try to get stronger on the important exercises like the romanian deadlift and hip thrust to get your glutes to the next level. It would be bad if what would do the day Saturday that were activators do it on Friday, so I would leave Saturday and Sunday free? hello, could you tell me examples of triggers that are not in the image. Hello, sorry I mean examples of activators. Ah, some good examples are Step-ups, Hip thrusts, Cable pull-throughs, and Donkey (pendulum) kickbacks. I am a bit confused with the extent of the calculator. When entering my stats, the calculator says I should train glutes 9-10 times per week. Can many of these sessions be just bands (or ‘pumpers’)? And how many sets should I be doing each time I work the glutes? I usually do pretty high volume (high number of sets) leg days 3x/wk with a variety of exercise types. I see that you recommended about 8 sets of glute work in a session for a previous commenter which is FAR less than I would typically do. Wouldn’t reducing my volume drastically result in less hypertrophy? And are there different ideal number of sets for different types of exercises (stretchers vs pumpers vs activators)? Thank you! Amount of sets heavily depends on the type of exercise. For example you could do 20 sets of pumpers and recover fine, but 5 sets of stretchers would take longer. Try to always get stronger on the main exercises for the glutes, because a stronger muscle is a bigger muscle. 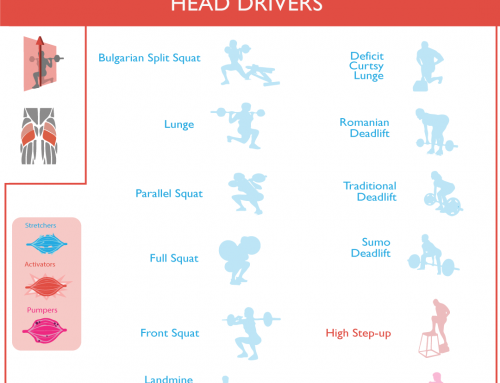 Examples of these are: Romanian deadlifts, rack pulls with focus on glutes, barbell hip thrusts, split squats, etc. You can add in glute pumpers, sure, but for most people they shouldn’t constitute the ‘bread and butter’ of your program. Remember that 9-10 times per week is an estimate. But yes, some women fare well on training their glutes twice daily. If you’re really as advanced as you say (strength-wise) aim for 20-30 sets of stretchers and activators (combined) per week. You may add in pumpers, but it’s not entirely necessary. All of the exercises you mentioned are Activators, as is mostly the case with cable exercises. Band exercises are often Pumpers, and barbell/dumbbell exercises are often (but not always) stretchers due to the nature of the force pull from gravity at longer muscle lengths. If you have any other questions concerning the article I’d be glad to answer. Hello, if I put weight on frog pumps, could I become an activator? Definitely. Basically it becomes a glute-emphasized glute bridge. Great idea actually. Hello, a consultation in stage of definition can train 4 times the buttocks to the week, in the calculator it came out to me 4 times and that I train, of course thank you very much. Your intuition was right, which is pretty rare when it comes to glute training. Great job and you’re welcome. After doing this calculator, my results came back that I should be training glutes 10.5 times a week…I’m a little excited and confused by this. Could you please explain how it is possible to train glutes 10.5xs a week and what that would look like? Really trying to optimize glute growth as always! This means you’re very advanced. Are you sure about your stress levels? People tend to underestimate these. I am a skinny guy who managed to get my weight up from 53kg to 60kg in the last two years. Year one I was on a Mass Builder and year two I decided to up my nutrition and water only. It paid of good dividends whilst I did not get to 65kg I am happy with the growth. I started following Bret and my mind was blown after I tried the hip thrust. Being a skinny guy who has never done sports – all the exercises great exercises (squat, deadlifts etc.) hurt my lower back. Until I got the glute exercises in. Now its one of my favorite exercises and I recommend it to everyone. My current best incline leg press is at 210kg. I can do RDL’s, I can Squat and hip thrust drop sets 70kg, 65, 55 etc. The calculator estimated I can exercise glutes 3.5 per week. My question I guess is, in this 3 day cycle- can I barbell hip thrust on every glute day (is it recommended) or do I variate considerably? As I have noticed If I do drop sets lets say Tuesday and do low to high sets Thursday or Friday I only feel the glutes at the higher KG’s (60 and up). Or is there a better way of growing. But if I do it thrice a week with two cardio classes – I would like to gain and not just do it for the sake of doing thrice if that makes sense. Good for you that you discovered the Hip thrust. Bret struck gold with that exercise. Definitely change up exercises to allow max recovery from the movement pattern. I really like the combo of Hip thrusts day 1, RDLs day 2, and Bulgarian splits day 3. The most important thing is tracking progress on these exercises. A stronger glute muscle is a bigger glute muscle, so make sure you’re getting stronger on these exercises over time to know you’re getting somewhere. Try to get a logical systems, only do squats step ups, etc. when youre actually training glutes that day, which for you should be 3.5 times per week. Thanks for the feedback, I will track according a three month schedule and keep glute day’s to glute only. I’ve recently read your part 1 and this article and calculated my glutes to be elite. Even at high stress times I should be able to workout my glutes 5x a week. My question is how soreness correlates with the SRA curve? I’ve created a 4 day glute split of; Wednesay (activators & pumpers), Thursday (arms & pumpers), Friday (stretchers & pumpers) and Sunday (stretchers & activators). I’ve kept my weekly sets for stretchers and activators around 30-35. I did the first workout two days ago and my glutes are still pretty sore, does that meant he SRA curve is not finished or do these two things have nothing to do with eachother and should I just push through the soreness for my next glute workout? I hope that made sense! Thank you! Soreness is an indicator of muscle damage, which often occurs when a muscle hasn’t been trained in a while. Being sore is not related to how much the muscle will grow, however. Don’t stress it too much. Your glutes aren’t accustomed to this sudden increase in volume yet. You should be fine after 1-2 weeks of following your new program. You can push through the soreness. Just make sure it doesn’t prevent you from doing the movements correctly. Then it’s wise to wait a day extra. Hi, what do you think about training glutes every day and switch like : day 1 hip thrust , day 2 romanian dealift, day 3 bulgarian split squat etc and add some activators and stretchers ? Is it wrong to do every day a stretcher exercise knowing that it takes longer to recover from ? Hey, I am totally confused… Is it okay if I train my legs/glutes twice a week on Monday and Friday and do three tretchers in each workout and activators? Your calculator says I am an advanced Trainee.. So my plan would by on Mondays: Hip Thrusts (4sets), Romanian Deadlifts (4 Sets), Bulgarian Squats (3 Sets), step ups (3 Sets) and Banded Kick Backs and on Fridays: Squats (4 sets), Hip Thrusts (4 Sets), Lunges (3 sets), legpress(2 sets) and abduction (3 sets).Would you say that this plan is good or too much? I am also bulking and eating in a calorie Surplus. You in particular could get a lot better results by spreading the exercises over 4-6 days in the week: make sure the total number of sets per week stays the same. but why would it be better to spread the exercises over 4-6 days instead of doing them on two days ? MY worload would be the same? And I don´t have more time than two days for training legs.. Is my way uneffective? It’s better because at your level of glute advancedness, your glutes only grow about 24-36 hours after a workout. If you only train 2 times per week this leaves about 4 days out of the week where your glutes aren’t growing. Of course, if it doesn’t fit your lifestyle, training 2 times is still effective, but it’s not optimal. do we talk about with two times Training my glutes its only 80 % effective instead of 100 % or do you think there is more difference? Personally, I also have a huge volume in my workouts and when I train like I want I have counted 40 sets or even a littble bit more for my glutes in a week. Do you think that is still okay or too much? Training 2x per week instead of 6x for example would be 50-70% as effective, if I can estimate. Better to take 2 exercises from your main workouts and do those at home if you only want to go to the gym 2x per week. For 25-35 sets in total. But I do my stretchers heavy till moderate heavy and I don´t wanna omit this… at home I don´t have weight for those exercices, so I have to do them in the gym… This whole worout schedule Thing is making me crazy, cause I want the good results so much… Can you maybe tell me how I can do many stretchers in 2 sessions and still make good results? I have already told you what stretchers I usually do and I don´t want to relinquish my sets of stretchers. And are 40 sets still okay for glutes/legs in a week? I also have the feeling after a workout where I´ve done less sets than normal and in total maybe only 30 sets instead of 40 in a week that this is not enough, since after my workouts I still feel fresh in this case and don´t feel much in glutes.. Or is this normal ? I am considered elite level but I don’t think I am training enough. Can you critique what I am doing currently? What type of exercises do you recommend me adding? I train 6 days a week. You only train Monday and Friday but you train 6x per week? I suggest spreading 30-40 sets of Activators/stretchers over the 6 days. So about 6 total sets per training session. You can add in pumper work as you please. It’s so important not to do too many exercises per single session. Spreading is better than piling up. Especially when you’re Elite. My glutes are small and flat…I have lost weight and I still have about 30 pounds to lose…I will be following a keto diet to deal with my PCOS and to lose these last 30 pds…However, I would like to grow my glutes or round them out..Should I be trying to build muscle and lose weight at a slower rate? Or, lose the 30 pounds first and try to hold on to the little glutes I have? I will be training glutes 6 days a week starting today..
Hi Tammie, a keto diet is definitely recommended with PCOS, as insulin sensitivity is low. Definitely lose the excess 30 lbs first with an optimal rate of fat loss. I’d be striving for 1-1.5% bodyweight loss per day. To be on the safe side I’d train glutes 3-5x per week with heavy Romanian deadlifts, hip thrusts, etc. to make sure you keep or even grow as much glute mass as possible. Monitor your strength on these exercises to make sure you’re getting stronger and stronger. You could perform that workout 4 times per week, perform one set less per exercise (because of your stress levels) and give that a try. Other than that these are very specific questions that I can only help with once I get a full assessment, for example by coaching. Progressive overload is almost always the problem. Try to lift more every single workout you do (see the sample workout). Not eating enough is a problem, too. These are the 2 main promotors of muscle gain. Bringing your stress levels down can also help, as well as getting your sleep in order. Hi Stijn, I was wondering if you have any articles on nutrition for glute training/growth. I’m at the point where I am a decent size and have a goal of growing my glutes. But I have mostly body fat and know that weight training will help. What I’m confused about is whether I should eat below my calorie maintenance to lose the extra fat or above my calorie maintenance for muscle growth. I’m afraid that if I eat above my calorie maintenance for muscle growth, I’ll end up gaining even more fat. No specific articles on that, no. However, I am writing a book on it. If you email me at stijnvanwilligen@gmail.com I’ll specifically gift you the first chapter to download. I understand your concerns. What you need to do is calorie cycling; to lose body fat and possibly gain muscle at the same time. And this is exactly what the book is about. when I have the weekend off, i train my legs, 2-3 times that week. My typical work out consists of Squats (very heavy), and 10 reps hip thrust (100 kg x 3 + 90kgx1), barbell lunges (stationary, ordinary and pulse), single leg deadlift, kneeling cable hip extension and maybe step ups. Does this not cause my glutes to grow? could they grow more? You’re doing big compound movements which is great! I have elite from your calculator as I can do 220lb hip thrusts for 10 reps but I still consider myself a beginner as I started 6months ago with 130lb. Should I take into account the fact that I have only been training for 6 months into my recovery time? I have seen some progress in the shape of my glutes, they are much rounder but would like them to grow much more in size. You should definitely not consider yourself as a beginner. Training status has very little to do with time, you see; some people have been spinning their wheels for years, being stuck at the beginner level, while genetically gifted on an optimized program can jump from beginner to intermediate within a matter of weeks. So the calculator says for me, I should train glutes 8.4 times per week?! But it says my recovery time is 20 hours. I’m currently doing 3 times per week mostly stretchers and activators. I feel to be honest to even do more than this would compromise my recovery time… I don’t get it. I have been researching glute training for my girlfriend and read some stuff from Bret and you. With some inspiration by the programs I saw, I put together something like this. How can I fit some home workout pumper days into this also how much work should be done in a home pumper session? I feel like a pumper day after day A would hinder the recovery. This program is solely for bikini fitness and it is done as A – B – A, mon, wed, fri. (she doesn’t like the idea of wide hips just full big glutes so no abduction movement). Thanks for your help! From what I can see, that’s about 30-40 glute sets per week, which is a lot for most women: she may not be able to recover from it all, unless she’s highly advanced, low stress and great sleep. Honestly, you could add in 1 or 2 pumper days, but the program you already set up is going to give 80-95% of the results, really. 3 sets of Frog pumps. 2 sets of Bouncing (half) squats with a band around knees. Would take out the glute kickbacks from day A and remove hip thrust from day B and she will probably get better results, because she’ll be doing more like 20-30 sets of glutes per week. Make sure to measure whether her strength is increasing in the big movements. If not: something is wrong. If she regresses in strength: she’s very likely overtraining. Please I would love to know why the calculator says since I do hip thrust with 20kg and Bulgarian split squat with just holding a 10kg barbell on the none loaded als my glute workout . It says I should train the glute 3.5 per week and my recovery is 48-72hours. I do this workout in just 3 days. Is this too much? I have a very high stress level. I workout from home . A mom of two. Youngest is 6 months old oldest is 2. I work as a nurse. From what I can see you’re now performing about 45 sets in total for your glutes per week. If your stress levels are high then this is probably way too much to recover from. Focus on *gaining strength* on Bulgarian split squat (with a band), Romanian Deadlift, (single leg) hip thrust. This is the key to glute growth. I do highly recommend going to a gym for this, as there you can increase the weights. Women with high stress levels and your strength levels I would normally put on 10-14 sets of glutes per week max. Yes, this means about 2 exercises per workout for 2 sets. Seems like nothing, but they do a lot better on this because they actually recover from it (they get stronger!). The glutes are just another muscle. 45 sets is way too much in 99% of times. You don’t perform 45 sets for your shoulder either, right? Think about it.